Although that was about to change. 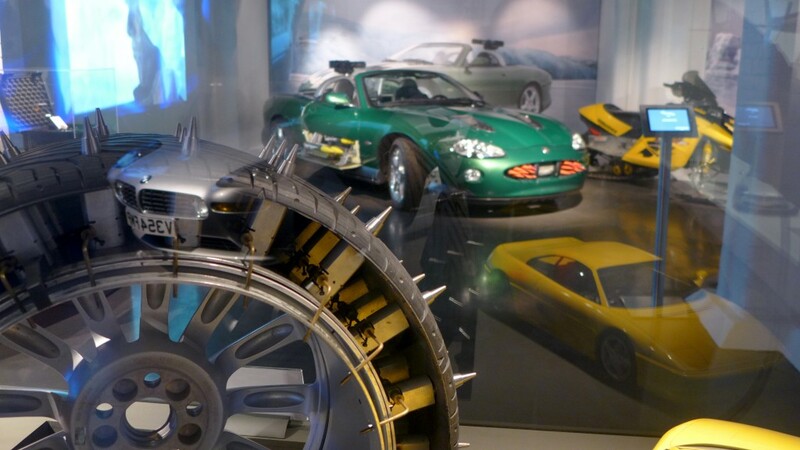 As was movie design, airport design, architetural design, car design, terminal designs and underwater killing machines design. One of THE Bond movie pioneers and most influential and important production artists the movies has ever seen Sir Kenneth Hugo Adam has sadly passed away at… the age of 95. He won an Academy Award for The Madness of King George and was nominated countless times, though never got the Oscar for his Bond work. But that matters not when you witness the sheer scale of ambition, skill and glamour onscreen in the likes of You Only Live Twice, Goldfinger, Moonraker and The Spy Who Loved Me. Ken also was initial designer on Star Trek – The Motion Picture (then known as Star Trek – Planet of The Titans) as well as the final designer of great note on Kubrick’s Barry Lyndon and Dr Strangelove and of course The Ipcress File, Chitty Chitty Bang Bang, Agnes of God, King David, The Deceivers, The Freshman, Sleuth, Addams Family Values and The Trials of Oscar Wilde (produced by Albert R Broccoli). 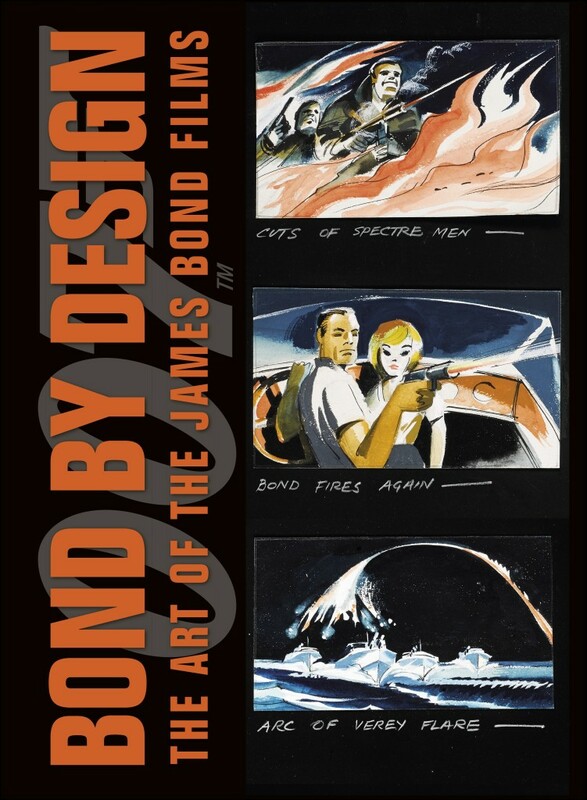 Ken Adam of course singlehandedly shaped the visual course of Bond from Dr. No onwards and whose legacy is all over every new 007 film, including 2015’s Spectre. Adam also defined what ‘modernity’ looked like, and not just on the silver screen. 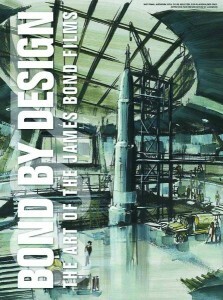 Take a look through any number of post war design projects and Ken Adam’s charcoaled fingerprints are all over them. His work is evident on the streets of Berlin, Japan, London and beyond. I was fortunate enough to meet Mr Adam on a couple of occasions and the mind and talent was forever as sharp as those Sixties charcoal pencils. 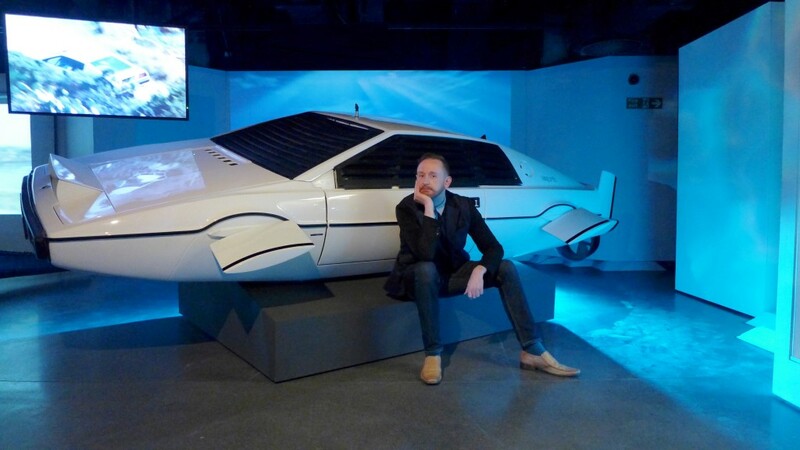 He recently attended the Spectre World Premiere and was also on hand in 2014 to team up with fellow Bond designers Peter Lamont and Dennis Gassner to help launch London’s Bond In Motion exhibition. One of my Bond fan – and life privileges – was to be able to meet Sir Ken after a great talk he did at the Edinburgh Film Festival. 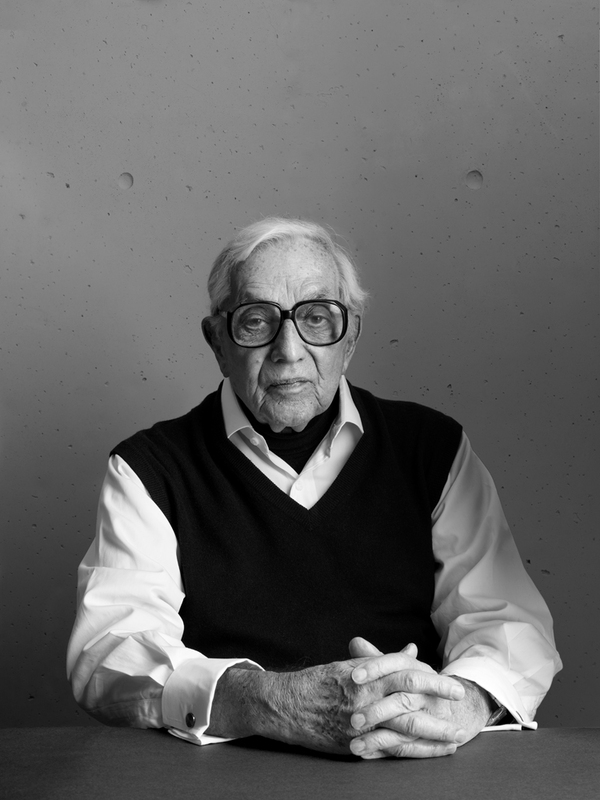 He spoke at length (one of his other great talents – storytelling) about Bond, Kubrick and the effect that partnership had in his health at the time, work ethics, materials, World War Two and his vivacious wife Letitzia. His vision, his sense of material, placement, texture and tone was immeasurable. Forever in a dialogue of minerals versus man-made finishes or Palm Springs’ lounge versus jagged death zones, Ken Adam is one of those few special creatives whose work imagining becomes the very reality he was ultimately never granted access to. Very real War rooms, open plan offices, Canary Wharf, Heathrow’s Terminal Five, finance centres and any office block that has had too much money spent on it all owe a massive creative debt to Kenneth Hugo Adam. 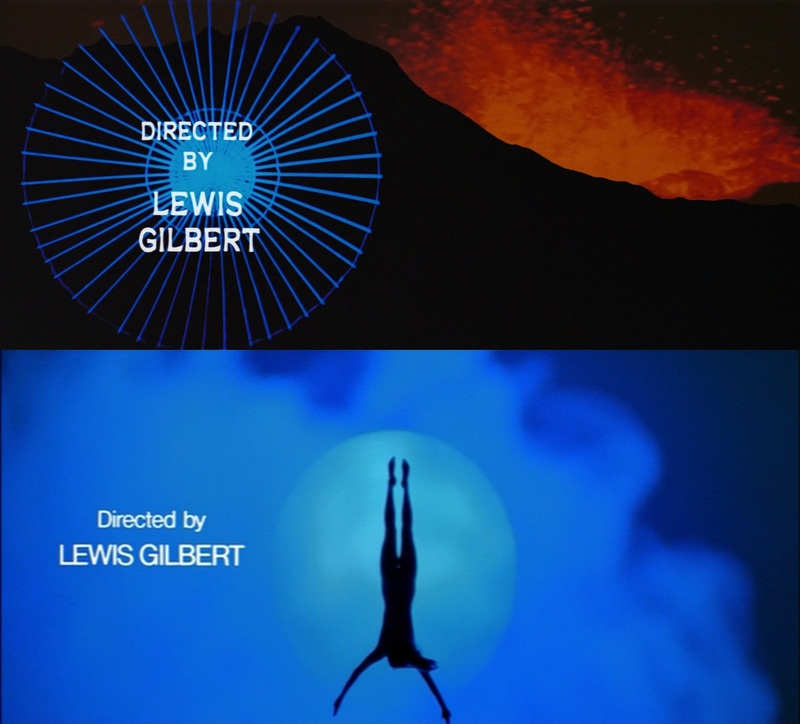 With 1962’s DR. NO, Ken Adam recalibrated Bond into a wholly visual and cinematic phenomenon before it even started. 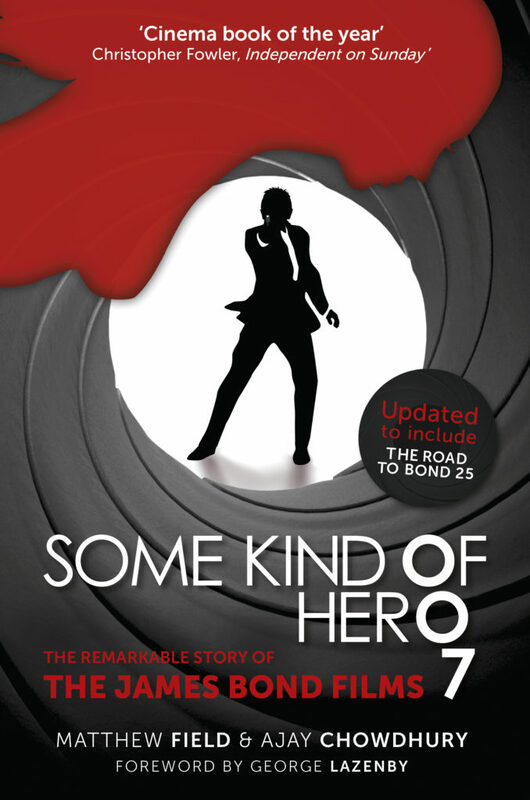 He helped steer the literary 007 into a celluloid movement that was as vital to movie design history as The Beatles were to popular music. Whereas the Fleming novels had a firm foot in a post-war 1950s, Ken Adam had an eye on beyond. 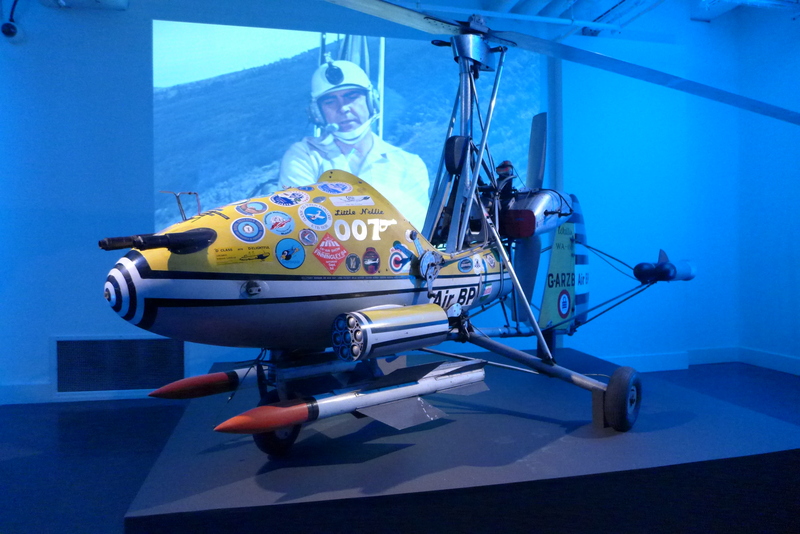 One of the genius tics of his Bond work was how his sets, his gantries, his angled ceilings and mixed materials were a vital part of the visual exposition and transformation of the cinematic 007. 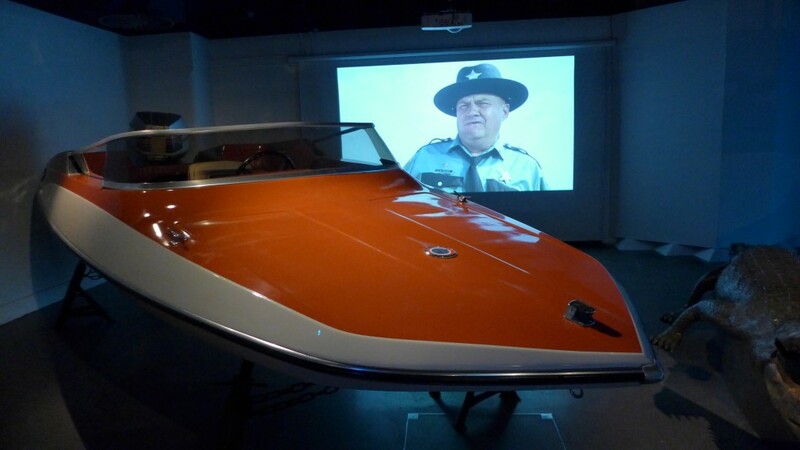 Everything we need to know about Auric Goldfinger is not there in the dialogue, costume or plotting. It is there in a laser table – an edgy, cool visual device that saw Ken Adam allow everything about the Bond film template to fall into place forever more. His Bond work alone was futuristic without being sci-fi, opulent without being gauche and cool without ever ageing. 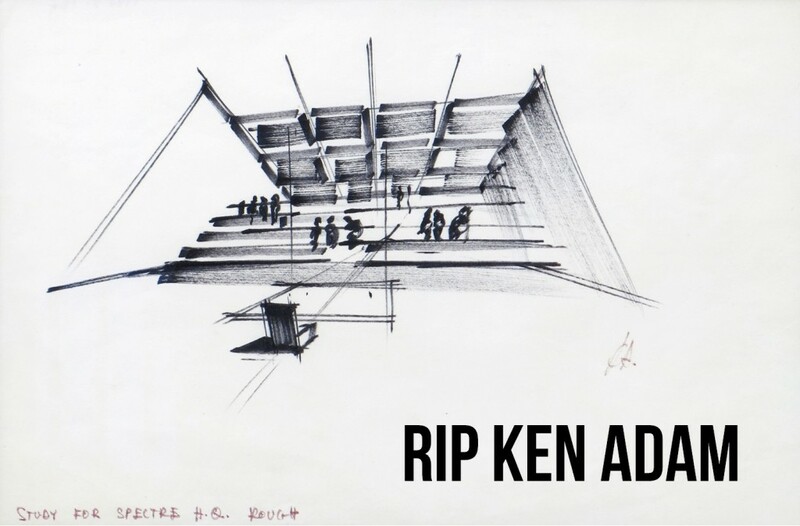 Rest in Peace Ken Adam. 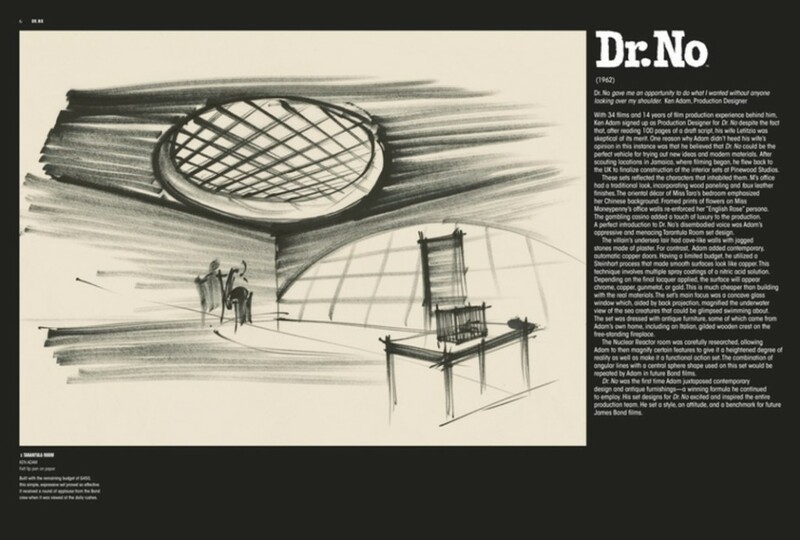 The art, craftsmanship and genius of production designer Ken Adam cannot be overlooked. Of course his legacy and links with the Bond films goes without question, but so too does the grip and influence he has to this day on film and public architectural design (London’s Canary Wharf is allegedly modelled on the Ken Adam style). 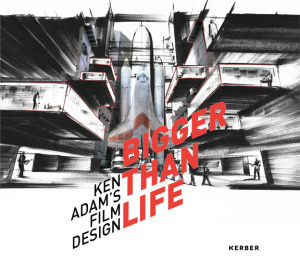 Opening in December and continuing until May 2015, BIGGER THAN LIFE – KEN ADAM’S FILM DESIGN is a new exhibition housed at Berlin’s Deutsche Kinemathek. 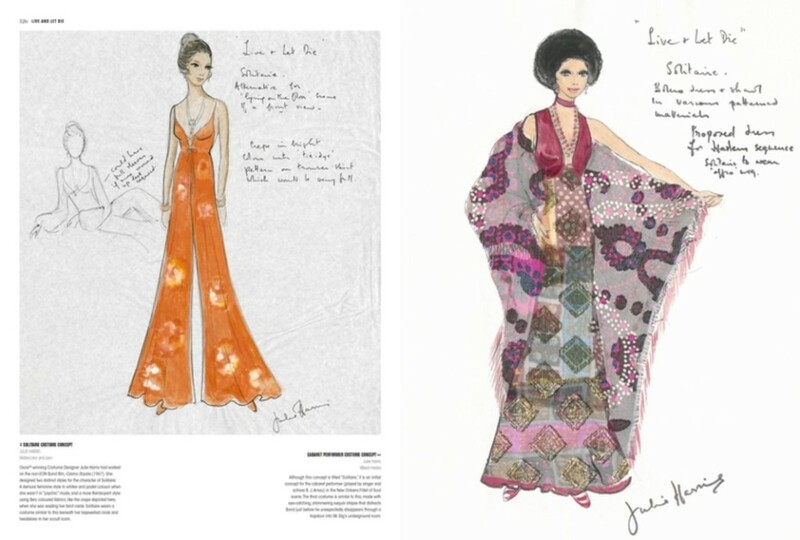 In 2012 Adam gave his entire artistic output to the Deutsche Kinemathek – including more than 4000 drawings, personal documents, sketches and designs for such titles as GOLDFINGER, THE SPY WHO LOVED ME and MOONRAKER plus his non-Bond work including BARRY LYNDON, THE MADNESS OF KING GEORGE (for which Adam won the Oscar), ADDAMS FAMILY VALUES, DR STRANGELOVE and unused artwork for PLANET OF THE TITANS (which became STAR TREK THE MOTION PICTURE) and more. A full catalogue accompanies the exhibition featuring essays by renowned authors on a diverse range of previously unexamined aspects of Adam’s career – such as the artistic roots of his Gesamtkunstwerk and his influence on art, design and architecture. 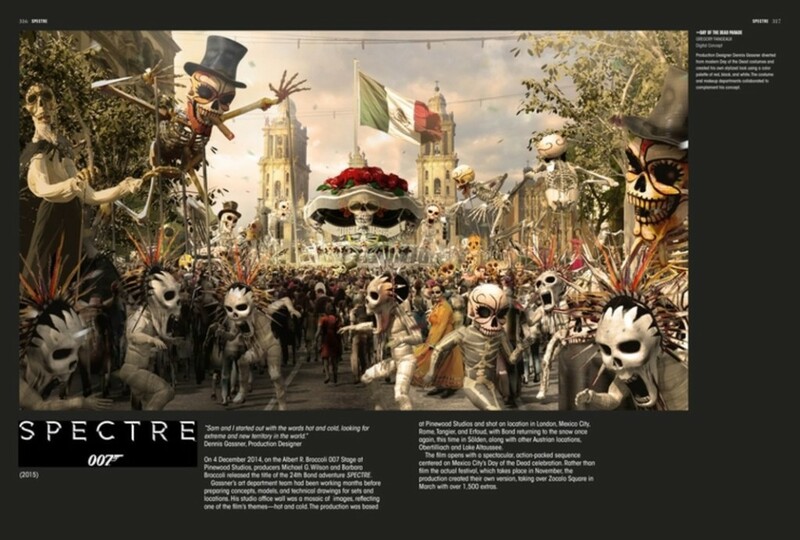 The catalogue will be available to buy. For more on the Deutsche Kinemathek, click here. Following on from fiftieth anniversary screenings in Nottingham, Adelaide, Calgary, the Florida Film Festival, Edinburgh’s famed Cameo Cinema, at the Egyptian in Hollywood and Norway already in 2014, many other global cinema-spots are getting out the gold paint to mark the golden anniversary of the classic 007 blueprint, Goldfinger with their own special screenings. PLEASE NOTE THIS EVENT AND SOME OTHERS HAVE NOW PASSED. Marking the first time a restored vintae Bond film has been screened in this style in Norway, organizers Morten Steingrimsen and Anders Frejdh are pleased to announce that the film’s production designer Ken Adam (countless iconic Bond films as well as Dr Strangelove, The Madness of King George, Barry Lyndon) and his biographer Sir Christopher Frayling (Ken Adam Designs The Movies). This is the first time Adam has come to Oslo in this context and organisers are justly excited. Joining Adam and Frayling will also be Norman Wanstall (Oscar winning sound designer on Goldfinger) and Margaret Nolan (Bond’s first girl, Dink and title sequence star) will also be in attendance. Adam, Wanstall and Nolan will participate in a Q&A following the screening. The British Ambassador in Norway, Ms. Jane Owen, will also be in attendance to open the festivities. The May 22nd screening and Q&A will be a closed and exclusive event for 292 invited guests. 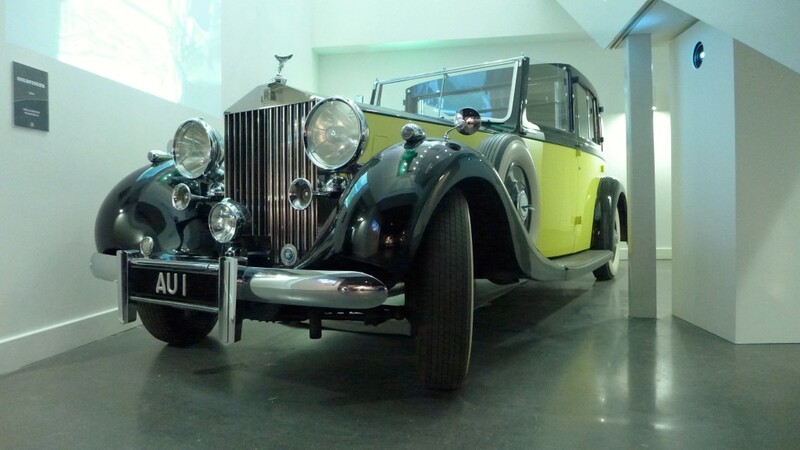 The film will be shown with a newly restored version and all manner of 007 accoutrements will fill the evening in apt style. A public screening will follow on May 23th – with Norman Wanstall and Margaret Nolan also in attendance. Birmingham’s Botanical Gardens in Alabama is launching Flicks Amongst The Flowers with their first film taking viewers back to the decade the Gardens were founded for their screening of Goldfinger. The free event will take place in the Formal Garden in front of the newly renovated Conservatory. Gates open at 6 p.m., and the film begins at 7:30 p.m. Visitors are encouraged to bring a blanket and find a spot on the lawn to enjoy the film. 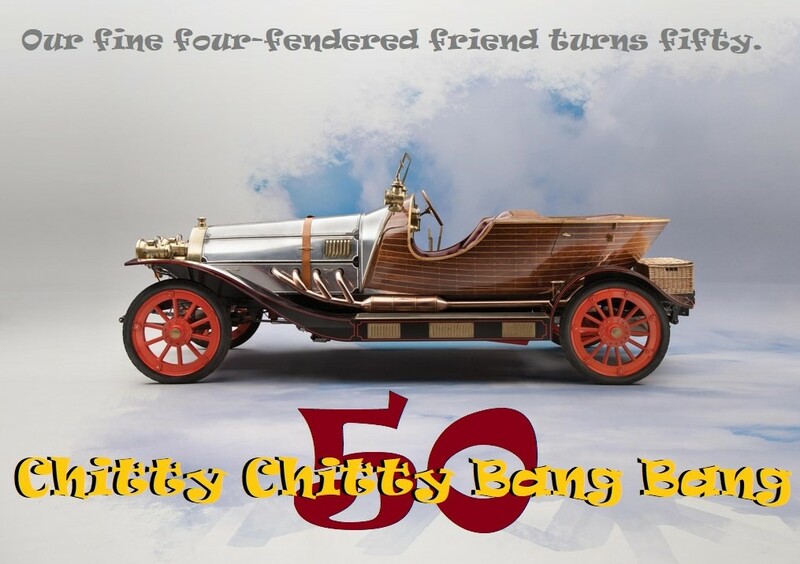 And the American Film Institute (AFI) is getting itself in on the celebratory action with three nights of screenings also this May at its Silver Theatre in Maryland, US. London’s Courthouse Hotel is proud to present their Cinema Club’s own summer showing of Goldfinger in their unique venue. London’s Grosvenor Square (home of the real US Embassy) is the setting for The Nomad Cinema’s pop-up cinema screening of Goldfinger. Founded to give 100% to charities, The Nomad Cinema is a roaming cinema experience, setting up camp in the strangest of settings to bring cracking cinema to movie fans. Please note – this screening is silent with Wi-Fi headsets. Not to be outdone, the savvy and retro minded Cinespia is hosting a downtown Los Angeles open air screening of the film in perhaps one of the most unique locations Goldfinger has ever been shown at. The film is being screened outdoors on Fairbanks Lawn, a field inside the Hollywood Forever Cemetery (and a stone’s – or hat’s throw – from Paramount Studios). Bring blankets, pillows, picnic and drinks. Wine and beer is permitted, but no spirits please. DJs spin the decks as the sun sets and after the film too. 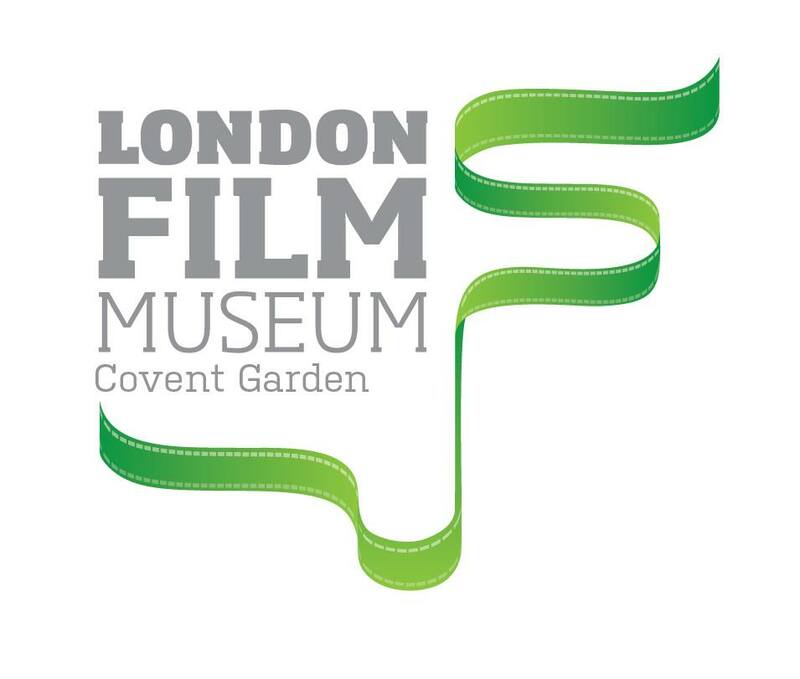 And hot on the golden heels of these Goldfinger events comes news from London that Luna Cinema in association with the Regent’s Park Open Air Theatre is screening the 1964 classic. 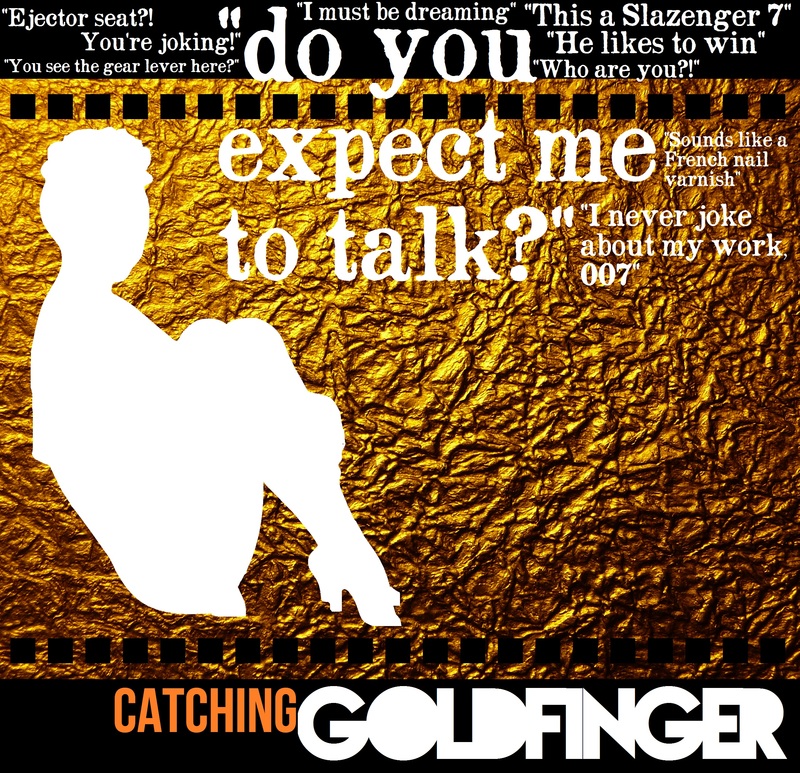 To mark the 50th anniversary of Goldfinger, arguably the most iconic Bond film of them all, famed outdoors exhibitors Luna Cinema presents a special celebratory screening in the unique tree-lined setting of Regent’s Park Open Air Theatre on Sunday 17th August 2014 at 8.30pm. Illinois’s Classic Cinemas’ Paramount Theatre is holding a Bond weekend. Beginning with a newly restored version of Goldfinger in the evening of September 5th, the weekend is also screening The Man with the Golden Gun and The Spy Who Loved Me (both on Sunday 6th September 2014). From the James Bond Club Deutschland, comes a September screening of Goldfinger at the UFA Palast, Stuttgart. 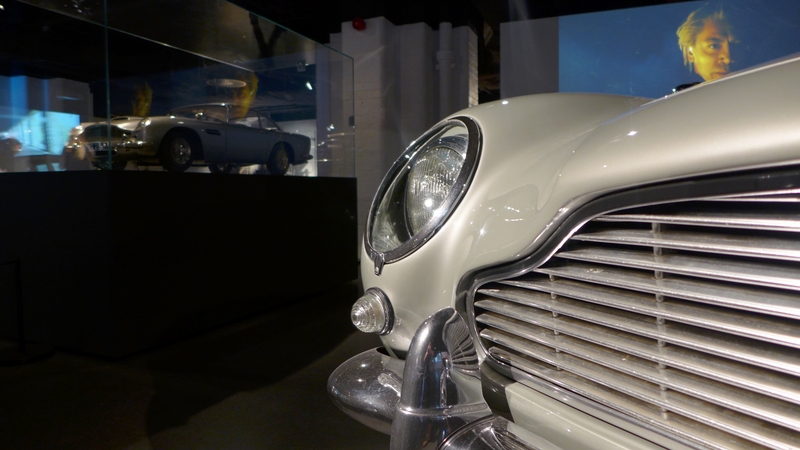 With Bond fan Danny Morgenstern, cars and a Vodka Bar on standby, the day’s events start at 3pm. For more details.